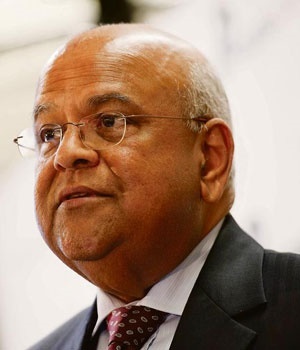 Pretoria - Pravin Gordhan has been appointed as the minister of finance, replacing David van Rooyen who was put in the seat four days ago. READ: Alec Hogg on Gordhan's return: Will SA force Zuma to fall on sword? The Presidency issued a statement on Sunday confirming the appointment. "I have received many representations to reconsider my decision. As a democratic government, we emphasise the importance of listening to the people and to respond to their views,” the Presidency said in a statement. "I have appointed Pravin Gordhan, the current minister of cooperative governance and traditional affairs as the new minister of finance. Minister Gordhan will return to a portfolio that he had held proficiently during the fourth administration." Van Rooyen who replaced Nhlanhla Nene will be transferred to the Cogta. He was appointed on Wednesday and sworn in on Thursday amid mixed reactions from the country. The move also saw the rand plummeting to its lowest mark in years. "I have also decided to appoint the current Minister of Finance David van Rooyen as the new minister of cooperative governance and traditional affairs. "Mr Van Rooyen, a former executive mayor, will also be bringing to Cogta the finance and economic sector background gained in serving in the Finance Portfolio Committee and Economic Transformation Cluster as whip in National Assembly. "He has been mandated to take forward the Back to Basics programme and further improve cooperation between the three spheres of government,” said the statement.